On 31 October 2012, the Department of Justice released its Consultation Paper on the Contracts (Rights of Third Parties) Bill 2013 (the “Bill”). The Bill does not abolish the doctrine of privity, but it will abolish the rule that a contract cannot confer a benefit upon a third party because it breaches the doctrine of privity. King & Wood Mallesons address here the impact of this major reform upon contract law generally, and consider two industries which may be especially impacted by the reform, namely construction and insurance. At present, only contracting parties may enforce rights under a contract. However, the Bill proposes to allow third parties to enforce contractual rights in certain circumstances. Principally, in cases where the contract provides for enforcement by a third party, or the contracting parties intended to confer a benefit upon a third party. As such, the Bill represents a major reform to a fundamental principle of contract law and has potentially wide-ranging consequences for many commercial contracts, particularly in the construction and insurance industries. Under the existing doctrine of privity, a person cannot acquire or enforce rights under a contract to which he/she is not a party. This has long been criticised as artificial, and contrary to what the parties might intend in the contract. A classic example illustrates the unfairness of the doctrine in certain cases. A promisor provides goods or services to an individual pursuant to a contract with a promisee, and it later arises that those goods are defective, or the services inadequate. If the promisee is unable to enforce the contract, for example due to legal incapacity, then the individual will have no rights to claim compensation for a breach of agreement. In response to such scenarios, the courts have been forced to develop ad hoc exceptions to give effect to the intention of the contracting parties, and to allow third parties to enforce their rights. Lord Denning’s decision in Jackson v Horizon Holidays  1 WLR 1468 is one of the most well-known examples. Whilst these ad hoc exceptions have been largely effective, they have also been criticised as cumbersome and overly technical. In addition, they do not cater for every scenario. For example, the decision of the then UK House of Lords in Woodar Investment v Wimpey Construction  1 WLR 277 demonstrated that the Courts were not always willing to abandon the doctrine of privity, even if it resulted in an apparent injustice (as it arguably did to the Plaintiff in that case). The Bill proposes to provide a more comprehensive framework for enforcing third party rights. It must be emphasised that the reform does not abolish the doctrine of privity, but rather it creates a limited exception to the general rule that a third party cannot acquire rights under a contract. a term purports to confer a benefit on the third party, and the contracting parties intend for the term to be enforceable by the third party. Third parties must also be expressly identified in the contract by name, as a member of a class (e.g. subsequent owners), or by a particular description (e.g. the owner’s nominee). 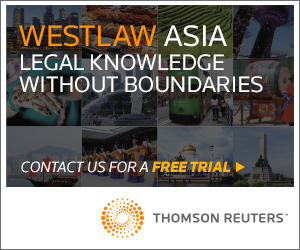 Other common law jurisdictions, including in England and Wales, Ireland, Singapore, New Zealand and in certain states of Australia, have adopted similar reforms of the doctrine of privity. As such, the Bill in Hong Kong is proposed in light of the experiences of these jurisdictions and sets out a considered framework for protecting third party rights. Nevertheless, it is disappointing that Hong Kong has lagged behind others in the commonwealth in its implementation of the reform. It is also notable that the proposed changes will only affect contracts entered into after the commencement of the new Ordinance. Since the Bill is still undergoing consultation, the Ordinance is not expected to enter into force until late 2013 or early 2014. Submissions to the Department of Justice on the Bill have raised various concerns. Chief amongst these is that the phrase “purposes to confer a benefit” is too uncertain. Critics have suggested that this may make negotiating commercial contracts more complicated, as parties would need to carefully identify all potential third parties and limit their rights under the contract. However, the Bill states that third party interests will only be enforceable if the contracting parties intend for this be the case. This limitation will mitigate the risk of situations arising where enforceable third party rights are conferred inadvertently. As a result, parties can avoid any ambiguity by specifying those parties which are intended to receive a benefit. For example, parties can exclude all third party interests other than those expressly provided for in the contract. Alternatively, parties can contract out of the Ordinance on a wholesale basis, by stating that the Ordinance will not apply to the contract. Another key concern identified is that the Bill restricts parties from rescinding or varying the contract if it affects third party entitlements. This will occur where a third party has relied upon or assented to a term that confers it with a benefit. In such a case, the parties to the contract will have to obtain the third party’s consent in order to vary or rescind the relevant term. Yet, the Bill provides that this restriction is subject to the express terms of the contract. 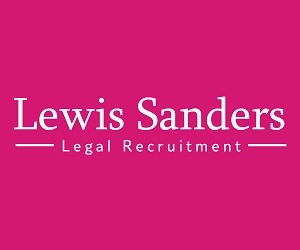 As such, parties can remove the requirement of third party consent by ensuring that the contract allows the contracting parties to rescind or vary the contract without such consent. Since construction projects routinely involve contracts which benefit third parties, the proposed statutory provisions could have a significant impact upon building contracts. The main concern is the difficulty in identifying the third parties that may have potential rights against the contracting parties and the nature of any such rights. Under the current system, the contracting parties know with certainty that only the third parties who have been granted collateral warranties would have enforceable rights. However, the Bill presents the possibility that an enforceable third party interest may be unknown up until the point of enforcement. The second solution, involves employing careful drafting to ensure that the core construction contract has the same content and detail as any collateral warranties granted to third parties. For the avoidance of uncertainty, contracting parties can exclude all third party interests that have not been expressly provided for in a detailed schedule of third party interests, which can be annexed to the contract. The insurance industry is another major sector which would be affected by the proposed reform. Many insurance contracts confer benefits upon third parties. The typical example is a life insurance contract that allows the insured party to direct indemnity payments to a nominated third party. Under the doctrine of privity, such interests are unenforceable by the third party beneficiary. However, statutory and common law exceptions have been developed in order to give legal effect to these important contracts. The reforms proposed by the Bill mean that third party rights in insurance policies can be enforced directly without resorting to the various exceptions under statute and general law. The wide-ranging effect of this reform has caused the insurance industry to raise concerns that insurers will be subject to increased liability for unforeseen third party rights. In addition, insurance policies are unique, in that they impose a duty of utmost good faith on the insured party (and a consequential duty of material disclosure), and although third parties are not held to the same standard, the Bill will allow third parties to enforce their benefits under the policy. This creates an unfair position where the insurer is expected to confer benefits upon third parties who have not satisfied the duty of disclosure required under insurance contracts. The Bill addresses these concerns by ensuring that the insurer can rely upon any defence which would have been available to it if the insured had brought the action. Therefore, if the insured had breached its duty of disclosure, or indeed any other contractual term under the policy, the insurer would be entitled to raise the breach as a defence against a third party’s claim. In addition, insurers and policy holders may contract out of the Bill’s proposed provisions entirely and rely on the current law to govern third party interests. This was the predominant response of the insurance industry to similar reforms in England, and we expect a similar reaction in Hong Kong. 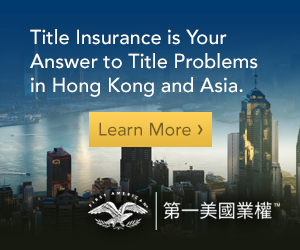 The Bill represents a fundamental reform to Hong Kong’s contract law. However, despite the significant shift in legal principles, it is likely that in practice agreeing contracts will remain largely the same subject through the adoption of standard exclusion or limitation clauses. This conclusion is supported by the experience from other jurisdictions that have introduced similar legislation, which indicate that it is unlikely that the Bill will lead to an increase in uncertainty or liabilities. Nevertheless, there are strong justifications for the introduction of the Bill. In particular, the reform will simplify the general law regarding third party rights and protect third parties from unfairness without having to rely upon discretionary and ad hoc exceptions. Furthermore, a good understanding of the law and careful drafting of contracts will ensure that the Bill does not unduly burden contractual parties with unexpected obligations. 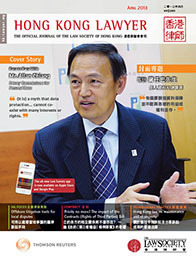 A draft copy of the Bill can be found at: www.doj.gov.hk/eng/public/pdf/2012/consulte.pdf.